WordPress is a state-of-the-art semantic personal publishing platform with a focus on esthetics, web standards, and usability. WordPress is both free and priceless at the same time. 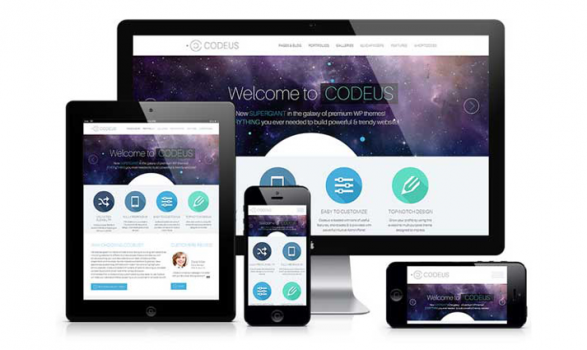 You are free to do whatever you like with the WordPress code, extend it or modify in any way or use it for commercial projects without any licensing fees. LuxCloud offers a one-stop shop for white label cloud business applications. More info. WordPress is open source web software that you can install on your web server to create your website, blog, community or network. WordPress started out as a tool for blogging, but has evolved into a full-fledged Content Management System (CMS), capable of powering websites, networks and communities. One of the principal advantages of WordPress is that you are in control. Unlike remote-hosted scripts such as Blogger and LiveJournal, you host WordPress on your own server. Installation is very simple, as is the configuration. Unlike other software programs, there are not a million files to chmod nor are there dozens of templates to edit just to get your site set up and looking the way you want. Also, Blog pages in WordPress are generated on the fly whenever a page is requested, so you do not have multiple archive pages clogging up your web space. Waiting for pages to rebuild is a thing of the past because template changes are made in scant seconds. WordPress is built following W3C standards for XHTML and CSS, ensuring that your site is more easily rendered across standards-compliant browsers. Other browsers are supported with a few hacks; it’s a reality of the web that hacks are necessary. Aggregator support is built-in with a number of standard RSS configurations already done for you, as well as Atom. Following standards makes your WordPress site easier to manage, increases its longevity for future Internet technology adoption, and helps give your site the widest audience possible. How can I protect my WordPress site? You need to insert credentials from the mail account (used for the contact form) into the plugin. I changed the permalinks settings and now I get errors on the website, how can I solve this? When you change the permalinks settings a change is made in the .htaccess file of the site. In order for these changes to be effectuated you need to synchronise the .htaccess file inside the control panel. To do this login to your control panel, click on the webhosting tile (or the websites tab), click on the domain name and webhosting settings. Press the "sync htaccess" button. 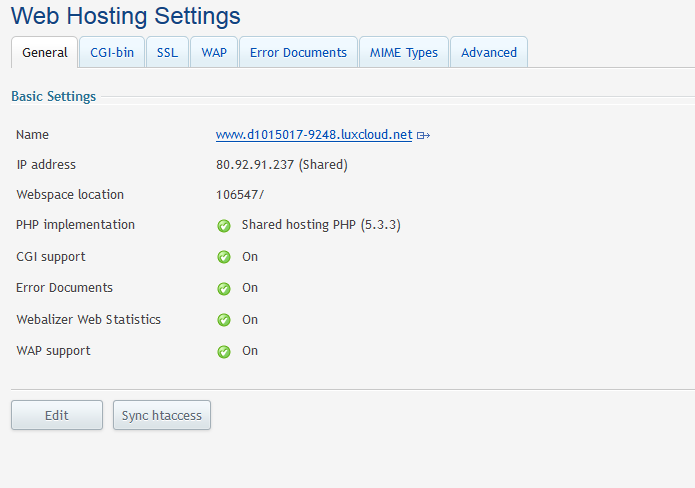 This will transfer the new .htaccess settings to the webserver and should resolve the issue. My customer's WordPress website is hacked/compromised/used for sending email, what do I do?